Carmen was born and brought up in a chilly and windy corner of Scotland in the depths of the countryside. This may explain her lifelong phobia of cows and abiding interest in cities, department stores, books, the cinema and newspapers. She is currently working on her eigth novel for grown-ups and her third novel for teenagers. Well, she likes to keep busy. 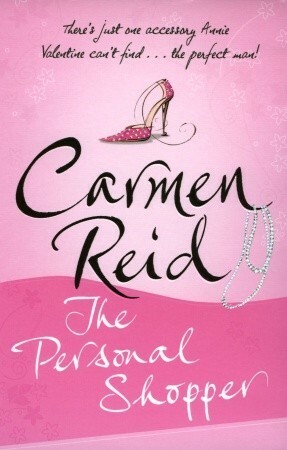 Carmen did once study English Literature at University College London, but, ignoring everything shed learned, she spent most of her 20s working as a local, regional and then national newspaper reporter. Although there is a corner of her heart that will always belong to London (property developers welcome) she now lives in Glasgow, Scotland, with her husband, Thomas, and two children, Sam and Claudie, plus Jimmy the (lunatic) Jack Russell and Clive, Orangey and Gorcha, the fish. Fortunately her hobbies are cooking, cleaning, arguing about whose turn it is to walk the dog, clean the fish tank, take out the rubbish, do the laundry... and so on.